The key to an extraordinary life is quite literally a key. 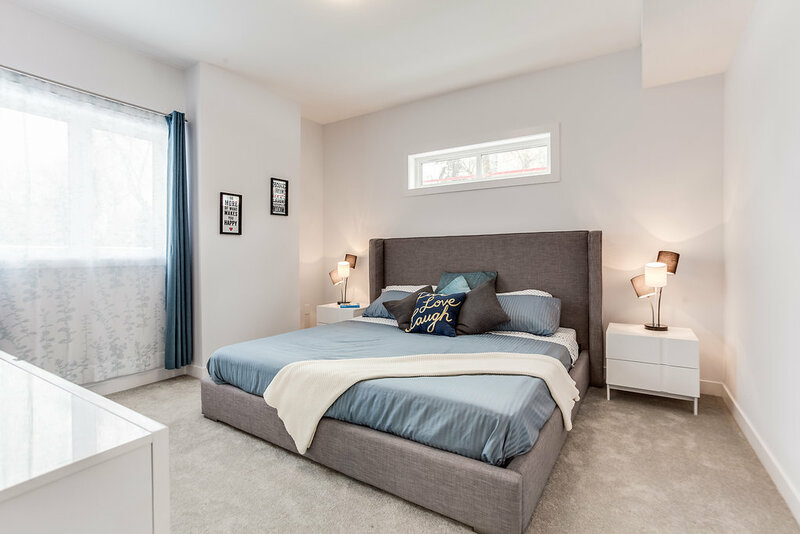 The interiors at Cascade are an exercise in quality and craftsmanship – 1, 2, and 2+Den floorplan options, near 9 foot ceilings, underground parking, fan coil heating and cooling, and triple pane windows. 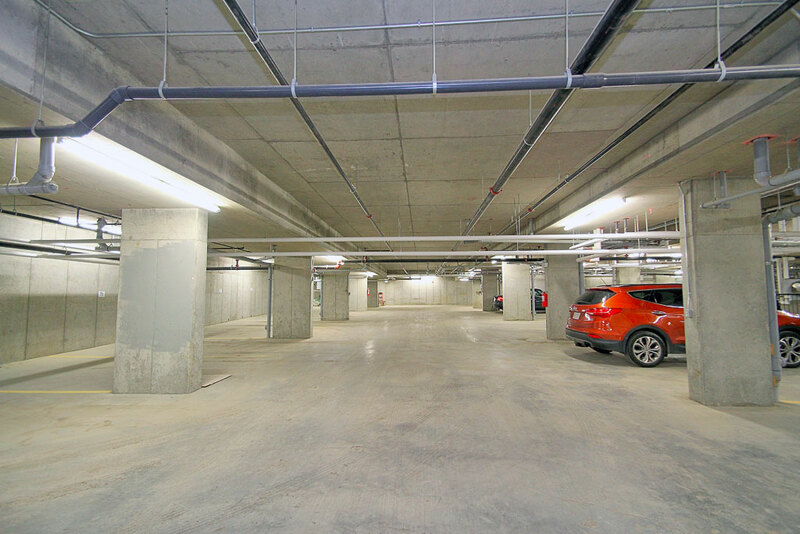 Our concrete and steel construction is sturdy, solid and vastly superior to wood-frame. You’ll have piece of mind with significantly less noise transfer and a recognized reduction in insurance with fireproof construction. 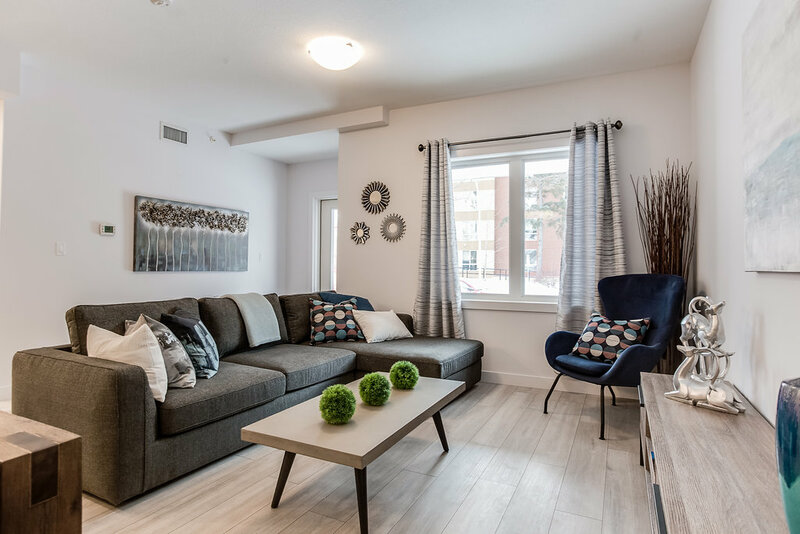 Open concept floorplans ideal for hosting | Quartz countertops | Stainless steel fridge, stove, dishwasher and microwave | Double, stainless steel undermount sink with Moen single lever with pullout spray | Soft-close cabinet drawers and doors and under cabinet lighting. Double sinks in ensuite | Quartz countertops | Free standing MAXX tub with full tile surround shower in ensuite | 12 x 24 inch tile throughout | Premium stainless steel fixtures | Matching towel bar and hardware. 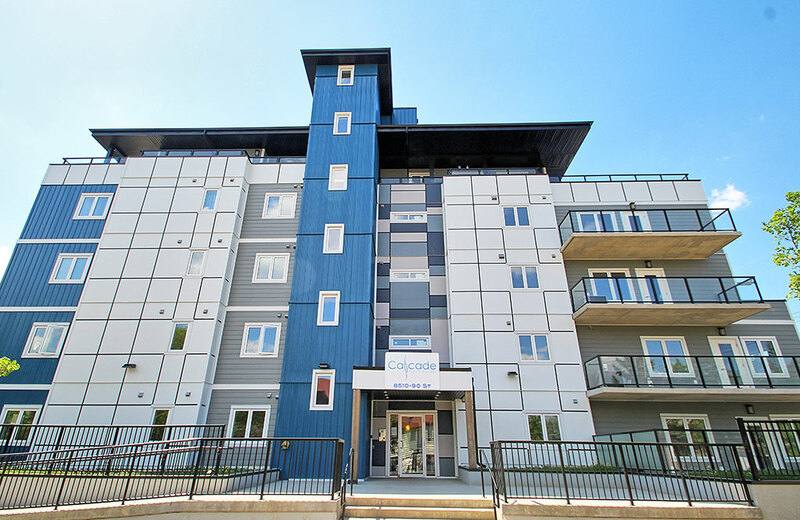 Four penthouse layouts available | Seven additional layouts | One, two or two bedroom plus den suites | Three designer colour palettes to choose from | Elevator service to parkade, lobby and all floors | 8 foot 6 inch ceilings on all floors | Laminate flooring or optional upgrade to hardwood | 6 inch baseboards and 3.5-6 inch casings | Low emission, double glazed, argon filled triple-pane windows throughout | Full front load washer and dryer.